12 facts you might not know about your Guinea pig! A male is called a boar; females are sows and babies are referred to as pups. “Pups” are born with fur and their eyes open. Guinea pigs only sleep for about four hours during a 24- hour period and usually nap from between 20 seconds to six minutes. Guinea pigs are extremely vocal and have a broad range of sounds which include purring, whining, shrieking, cooing, rumbling, hissing and teeth chattering. 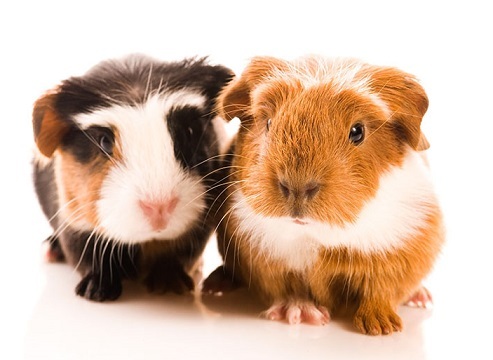 All breeds of Guinea pigs have five different types of hair that make up their coat.